On Saturday, May 12, 2018, the Embassy hosted an event for a number of colleagues in charge of the work of international organizations and judicial institutions in The Hague. Informal event, attended by approximately forty diplomats from different parts of the world, contributed to understanding the specificity and importance of linking different cultures and customs in the light of joint multilateral action. 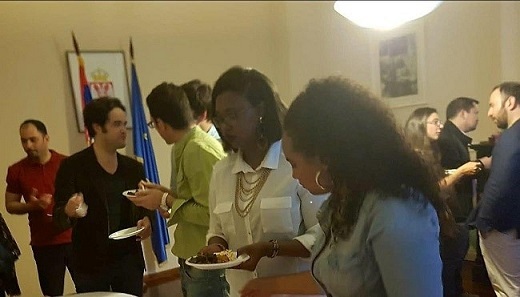 The event was organized in cooperation and with the valuable help of representatives of several European and African diplomatic missions in The Hague, to which the Embassy expresses its deep appreciation. In the last year and a half, the Embassy organized several informal gatherings for colleagues involved in multilateral and legal issues in order to consolidate the existing and develop new professional networks.